You can skip the first 7 paragraphs where I ramble on about “signs from above” and my own inadequacies for a story you won’t believe, but it really happened. I hate to admit this, but aside from the passages I was forced to read (all Old Testament) in 9th Grade religion class, and the parts that are read to me each week at church (and the passages written on signs at sporting events), I haven’t read The Bible. I feel like, I’ve seen The Ten Commandments, The Greatest Story Ever Told, and quite a few Bible related shows on The History Channel and Discovery, so I’ve got a pretty good handle on what’s in there. Something that’s always fascinated me is how Saints and Prophets say they spoke to God (or God spoke to them) and many people throughout history claim to have seen and spoken with angels. Like, Noah was told by God to build an ark. Moses chatted up a burning bush. An angel appeared to Mary in a dream. I often think to myself, well, if that ever happened to me, well, you can bet I’d take some action and if more people spoke with God, more people would believe and do great and amazing things. But, we’re supposed to have faith and trust these things happened to other people. Many of us, however, take the “I’ll believe it when I see it” approach. We want a glowing entity to appear at the foot of our bed and say, “Don, go build an orphanage.” And we swear, if we got a sign like that, we totally would – even though I think some people would say, “it was all a dream” and not do it. What if “signs” are actually happening to us all the time? I think they are and most choose to ignore it (just like, at certain points in my life, if an angel had appeared at the foot of my bed, I might have pretended to be asleep …I’m not proud of that, but I can’t deny it). For example, what has inspired me to say, “Don, in 2013, I’m going to read the Gospels?” Why did I decide to pick up and start reading Rediscovering Catholicism? Why did I raise my hand and volunteer to coach soccer and be a part of a committee at my children’s school, and how come both are more fulfilling to me than almost anything I’ve ever done? Mere coincidence? Or gentle, inspiring nudges from my Guardian Angel, or angels, or God himself? Do I have a choice, now, to keep following my “gut” and my suspicions that someone is trying to tell me something, or just chalk it all up as a series of incredible coincidences and unexplainable random things. All of the above has happened. And a year ago, on a Sunday, while chopping wood, completely out of the blue, a thought jumped into my head to call a friend (a new friend) and just say “hi” and see how he was doing. I had the idea, “hey, that guy and I should have coffee and hang out. I should really call him and see how he’s doing.” Mind you, I am lucky to have many friends and I didn’t think this about anyone else, just this particular guy who, truthfully, I’d only known for about 3 or 4 months. But, I didn’t call him. And 48 hours later, he committed suicide. Now, I’m not arrogant enough to think a simple phone call from me would’ve changed anything, but why did I think of him, someone I barely knew, over and over again while chopping wood …and nobody else? Was it a “gentle nudge” I ignored? Which brings me to something that happened last week. One night, at 1:30 a.m., I woke up out of a dead sleep to the smell of toast. Plain as day, as I lay there in bed, I smelled toast. My wife was fast asleep next to me, and I tried to rationalize that I must’ve been dreaming about toast and if I just relaxed, I wouldn’t smell it. Or, maybe, I feared, “toast” wasn’t really “toast”, but something was on fire downstairs. A stray Christmas light, perhaps, or maybe we’d accidentally left a scented candle burning. So, as the “man of the house”, I went to investigate. I walked around in the dark, flipping on lights, flipping off lights, trying to trace the smell of toast, and found nothing. And then I went into the kitchen and there it was …the smell of toast and coffee. I can’t explain the toast, but I can explain the coffee …I grind coffee fresh every night before bed so that in the morning (when I wake at 6ish), the whirring blades of my burr grinder don’t wake up my entire household. 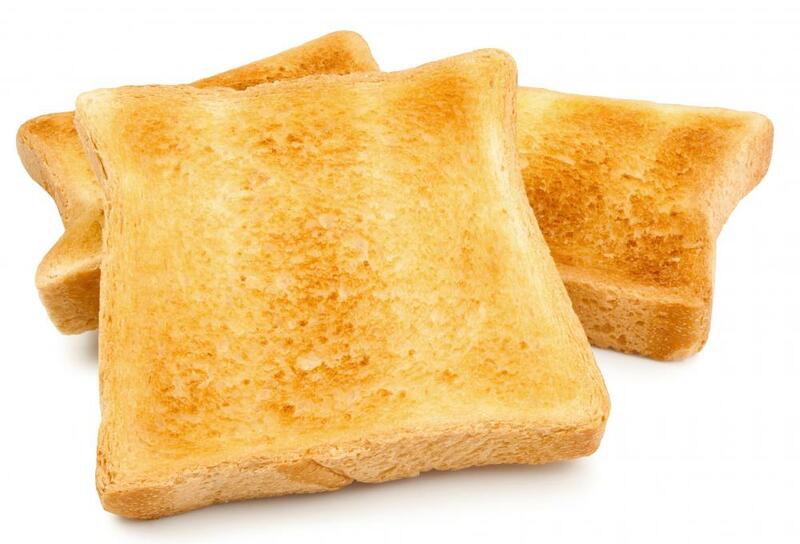 But the toast, I can’t explain. The coffee beans, coincidentally, were “100% Pure Maui” beans, which my Dad had just given me as a gift a day or two earlier. These are his favorite beans and he orders them by the box-load every couple of months, and he generously always orders a few (dozens of) extra bags for me. I love that. I love that because it reminds me of when I was in college and would go home on the weekends, or when I was first married and didn’t have kids and my wife and I would go back home, and on Saturday and Sunday mornings we’d wake up and have coffee and talk for hours around the kitchen table. And my mom …would have toast. My mom loved a piece of toast and butter and a cuppa coffee. Way back then, if I’d sleep in, when I would wake up, the first thing I would smell would be toast …and coffee. When I wandered, last week, at 1:30 a.m. into the kitchen and smelled the fresh ground beans and unexplainable scent of toast, I was immediately transported back to my childhood home and weekends spent visiting. It was as if, in the darkness, I could’ve turned on the kitchen overhead light and I would’ve seen my mom sitting there, reading a book, eating a fresh, bakery slice of toast with butter, and drinking coffee. But this time, I don’t want to “rationalize it.” I want to think my mom stopped by to say Merry Christmas (she LOVED Christmas) and to let me know she’s OK. And this time, I want to think she was sent to say “hi” so that all these crazy (are they “crazy?”) ideas floating around my head aren’t so crazy. Maybe, because I was so troubled about the children from Newtown, she just wanted me to know and to let everyone know, hey, we Grandmas are up here and we’ve got this. Yes, a message would be alot more clear if she had actually appeared as a ghost or angel and handed me a note, or if she’d appeared to me in a dream, but maybe God doesn’t work that way and we’re supposed to take his subtle messages and gentle nudges and connect the dots ourselves. Will I pay attention? Will we all pay attention? Well said/written Don. You’re not the mindless animal I thought you were. I totally listen – didn’t always used to, but I do now. And, I think your mom came to visit me as well. She was really, REALLY on my mind over Christmas. Your mom and my mom made Christmas awesome for us when we were kids. That post from anonymous was from me, your cousin Robin. I understand too, and I think it was definitely your mom. What a wonderful bunch of comments. I appreciate everyone’s readership, the stories you’ve shared with me, and that we all are going to start listening to the gentle nudges more often. LOVE beans on toast now, but as a child HATED it. would only have spaghetti on toast. my mum alawys bought heinz beans, but when i moved into my own place i bought good old tesco value, and prefer them over any named beans.. We have 2 pieces of toast and beans poured all over, and grated cheese sprinkled on top mmmmmm.